Broadcast Messages are one-time items you wish to send to your followers. 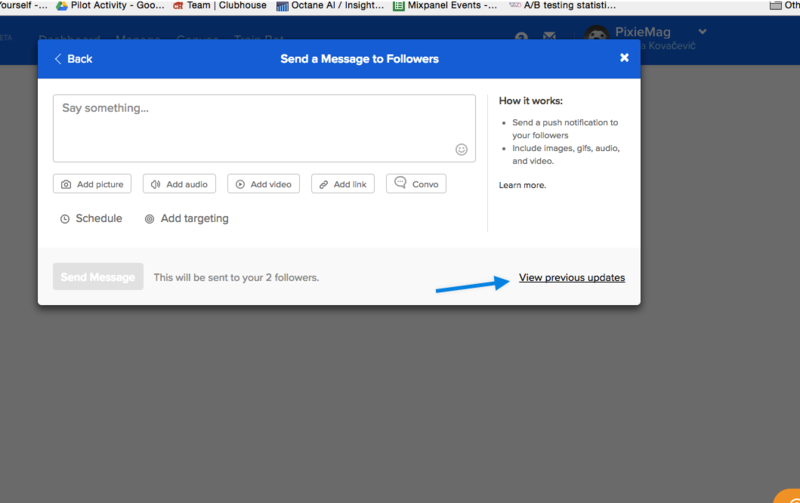 You can share a broadcast with your followers by adding text, images, audio, video, convos or link to external website. 1. Subscription Broadcast - intended for news updates that are non-promotional. 2. Promotional Broadcast - intended for promotional updates and updates that don't meet the subscription guidelines. When should I use Subscription Broadcasts? Subscription broadcasts send to all your followers and are more regulated by Facebook. You can use them only for news. It has to be non-promotional in nature and cannot simply be focused on getting information from your audience. Here is how Facebook says these news updates should "inform people about recent or important events, or provide information in categories such as sports, finance, business, real estate, weather, traffic, politics, government, non-profit organizations, religion, celebrities, and entertainment." When should I use Promotional Broadcasts? Anytime you cannot use a Subscription broadcast, you can use a Promotional Broadcast. The only rules around promotional broadcasts are about who you can send it to. It can be sent to people who engaged with the bot in the last 24 hours and then one message after that. 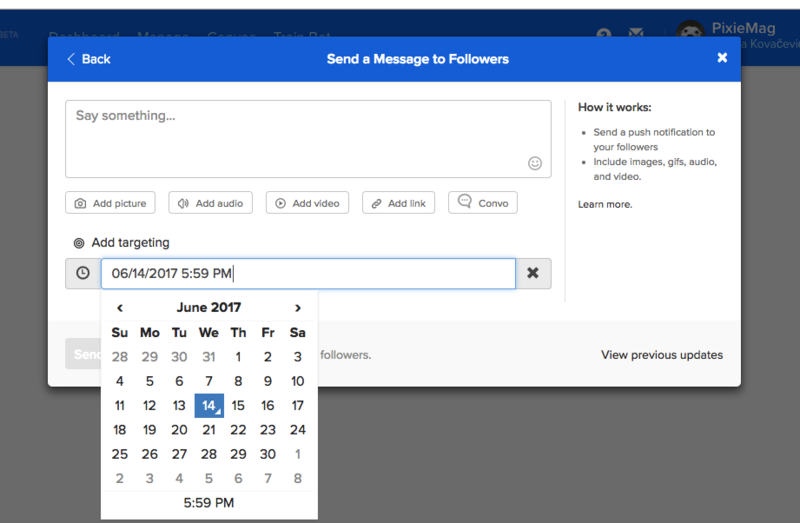 We handle the rules of who it can send to so if you use a promotional broadcast it will automatically only be sent to eligible followers. 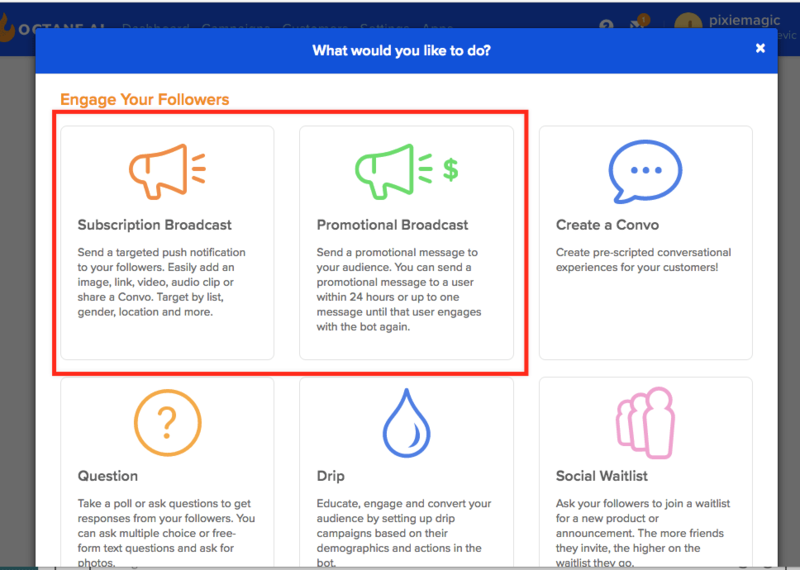 Learn more about Promotional Broadcasts and how to build up more eligible followers. How do I send a Broadcast? You can also define which of your followers should get that new broadcast. Learn more about targeting. How do I check broadcast before sending to my customers? Based on engagement stats, we've found that sending Convos to your followers is one of the best things you can send. Learn how to send a Convo via a Broadcast in this article.